The use of steel (blades) attached to the hot stamping molding package galvanized steel wire (wire) above by the sharp angular sheet galvanized steel or stainless steel blade to do, to do high-tension steel wire combination. Core Wire Materials: Use the high- quality hot-dipped galvanized high carbon steel wire, hot-dipped galvanized medium carbon steel wire, stainless steel wire, etc. 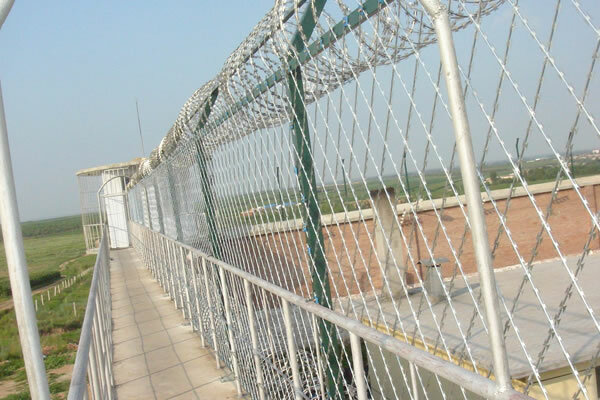 Razor Wire Materials: Use the high- quality hot-dipped galvanized steel sheet, stainless steel sheet. 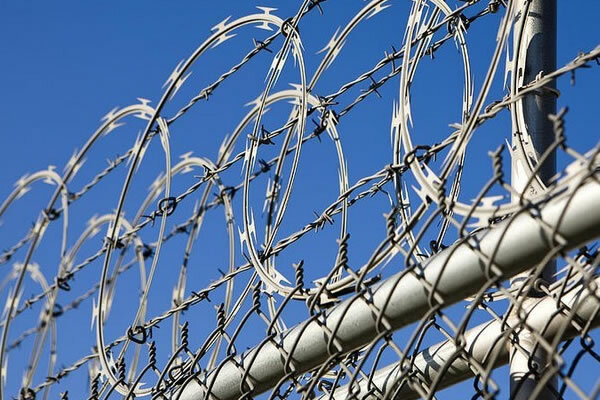 Razor barbed wire fence, according to the way of installment, has three types: Sprial razor wire fence, Straight razor wire fence, Flat razor wire fence and so on. 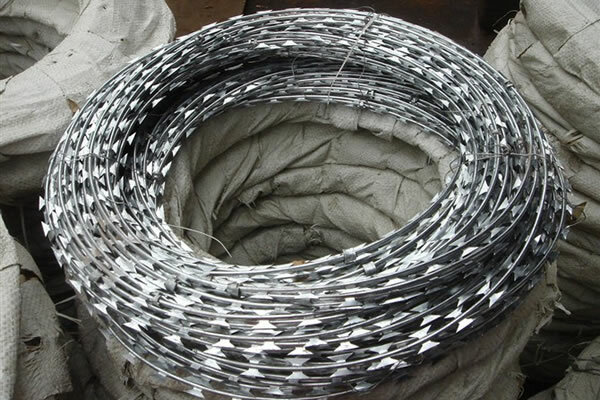 Spiral razor wire is also known as snake bellied fence. 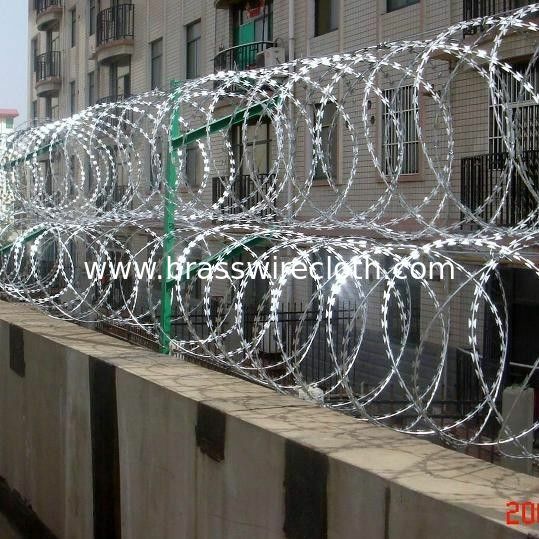 It is divided into two types: single concertina razor wire and spiral cross type razor wire. 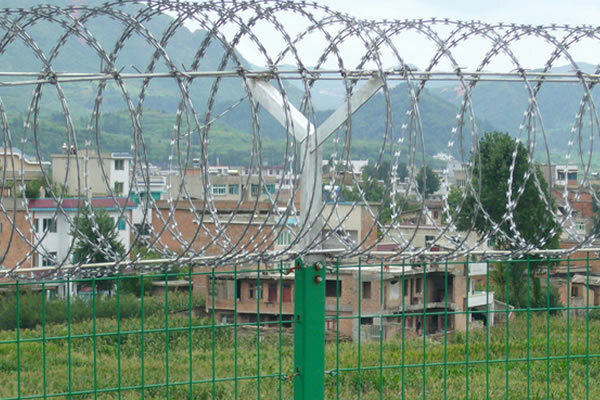 Single concertina razor wire without using the clip can be installed in accordance with its expanded natural form. Spiral cross-type razor wire is made with stainless steel sheet and galvanized steel with a strong clip between two razors, It is beautiful and practical after the commencement of branding cross-shaped. Flat razor wire is a new application form, it is the lap-style flat blade pressed into plate-like gill nets, or gill nets, two laps after the cross with the wrong voltage level to use, aesthetically pleasing and practical, with straight blade with the use of gill nets to form a straight line on the plate under the fence, or just flat gill nets form a protective wall. It is mainly used in residential, warehouses, livestock factories, farms, mines, prisons, and other defense powerhouse. Straight razor wire is also known as welded razor wire. With the blade-type cross-welding forming a straight line, if someone wants to climb crossing, barbed wire mesh of the blade sharp blade, can not shake hands, feet can not climb, and resolutely prevent people crossed protective walls. It has the strong effect of intimidation and prevent, both beautiful and practical. Mainly used in airports, military bases, substation, a variety of fences, oil depots, factories and other fields.